This tasty treat can be prepped and cooked within 5 minutes. 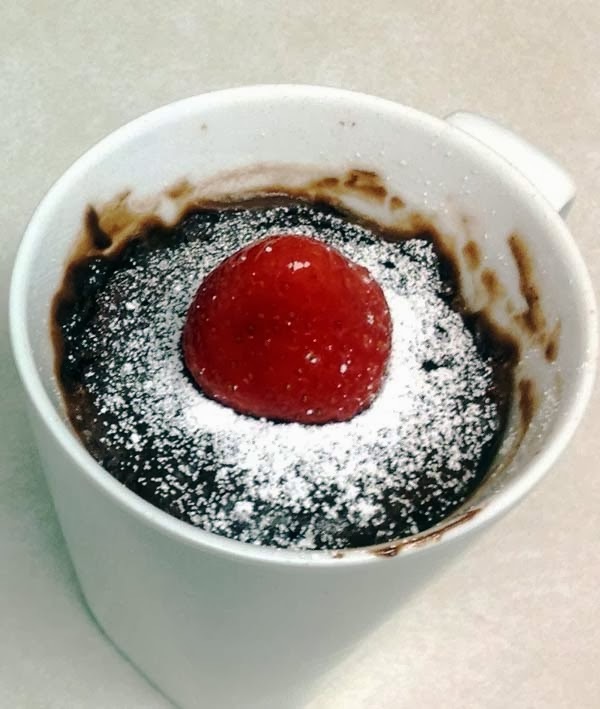 This brownie in a mug recipe courtesy of cookingclassy.com is for a solo serving, so perfect when you get a sweet tooth, but do not want to bake for everyone in the family. Add butter and brown sugar to a 12 oz (or larger mug). Heat in microwave on HIGH power 45 seconds, then remove from microwave and stir mixture with a fork. Mix in egg and vanilla extract. Stir in cocoa powder. Add flour, baking powder and salt and stir until well combine. Mix in chocolate chips. Set microwave on 50% power and cook mixture 1 minute 50 seconds - 2 minutes 30 seconds (time will vary based on varying microwaves wattage, don't overcook or it may result in a tough brownie). Just a note. The chocolate chips were skipped, but a little more cocoa powder and brown sugar were added to make up for it. 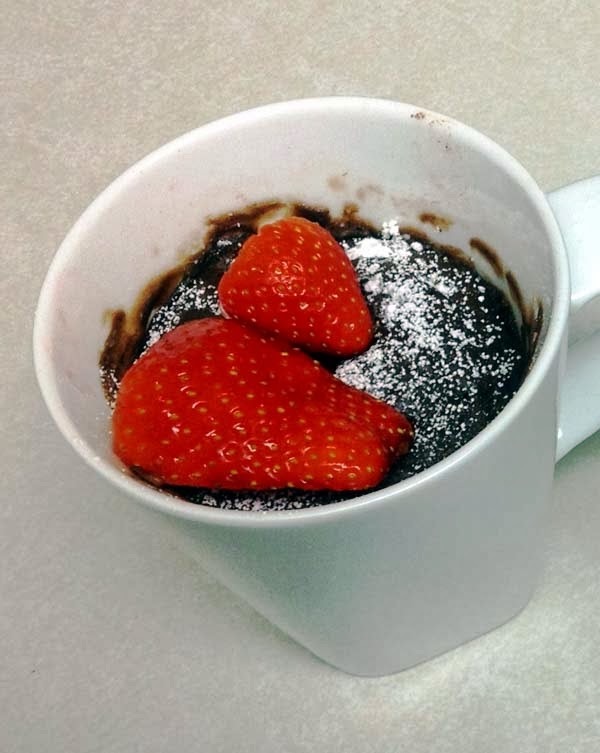 Also, these mug brownies can be served with any toppings. The source site suggests ice cream. Strawberries with powdered sugar are used in this case. For more traditional brownies, see this recipe for fudge brownies.